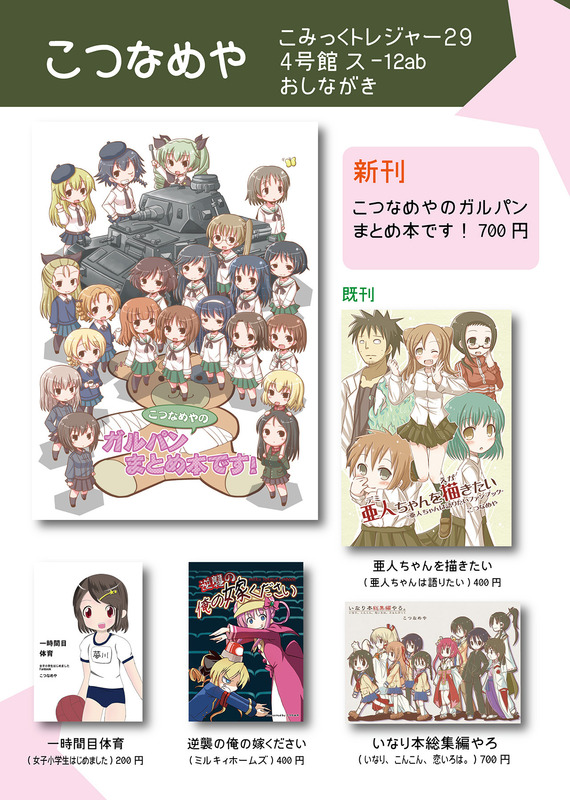 At Comic Treasure 29 (Jan 15, at Intex Osaka) we will be having "Kotunameya's Garupan Compliation", a recollection of the Girls und Panzer books we've released so far (700 yen). 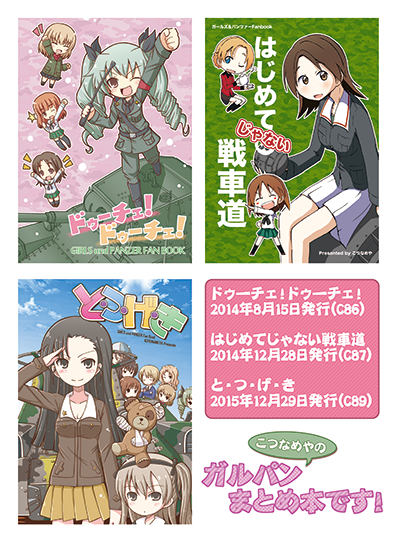 Some of the previous titles we've released last year will be there as well: the “Demi-chan wo Egakitai”, a “Demi-chan wa Kataritai” fanbook; Milky Holmes book "Gyakushuno Orenoyome Kudasai("My Wife, Please: Returns") (May 2016). 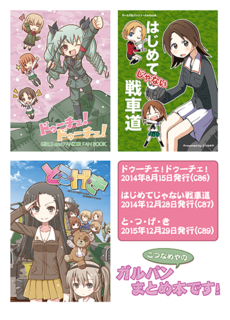 Some of the Joshishogakusei Hajimemashita books may be there as well. Please see the menu above for details. 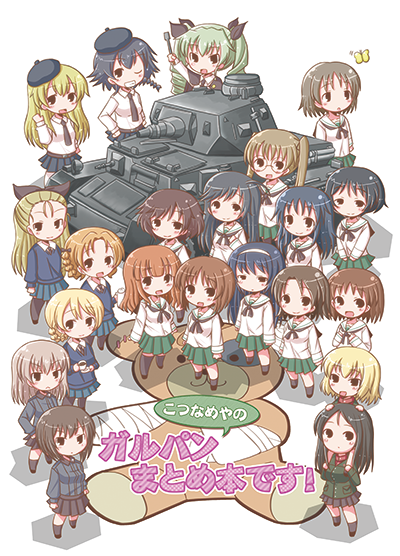 See you at Intex Osaka!